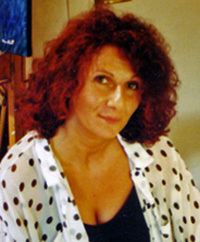 Orsola Ornelli was born in Foligno in 1960, she had a scientific education and got an engineering degree. Her artisitic education was mainly autodidactic. Her innate passion for painting got more and more strong during the years and allowed a personal and continuous artistic evolution. She obtained very positive evaluations in a number of personal exhibitions since 1986. She is now totally dedicated to her paintings – oil on canvas and watercolours – mainly representing landscapes and floral subjects. Since 1995 she has been living and exposing her works in via Consolare 45, Spello, just in the hearth of the Umbria region.